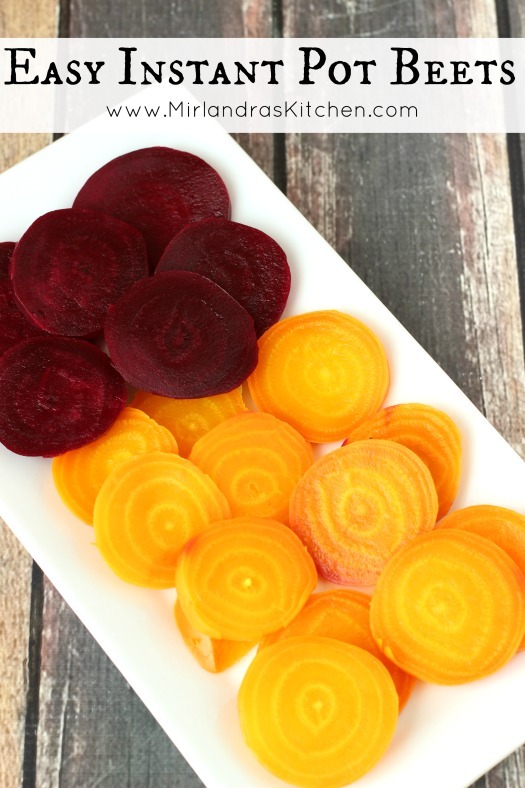 Beets are flavorful and healthy. They make a great snack or addition to your dinner table and are ready quickly in an Instant Pot pressure cooker. Beets are not something I am known for cooking. For whatever reason they just don’t hit my radar that often. And I always, always forget that you can find beautiful golden beats in some stores and often at the farmer’s market. They have a milder, sweeter flavor. These days I’m always looking for easy things I can add to my son’s menu. He is nuts about vegetables so I was curious what he would think of beets. Our new Instant Pot had arrived and I was super curious to try doing different vegetables in it. The beets came out soft and tender with no fussing on my part. Jack loved them and I gotta say he looked pretty darn cute wandering around the house with a fistful of beet slices munching and chatting to himself. The Instant Pot is famous for a lot of different ways to prepare food but so far in my experiments it really shines in vegetable preparation. I’m looking forward to tucking it in my garage this summer and using it to cook without heating up my house! Tools In This Post: When we added an electric pressure cooker to our home I chose the Instant Pot for its ease of use. I love simplicity of having something I can use in the house or garage when it is hot and it does not take up stove space. Love easy, fresh, healthy food? 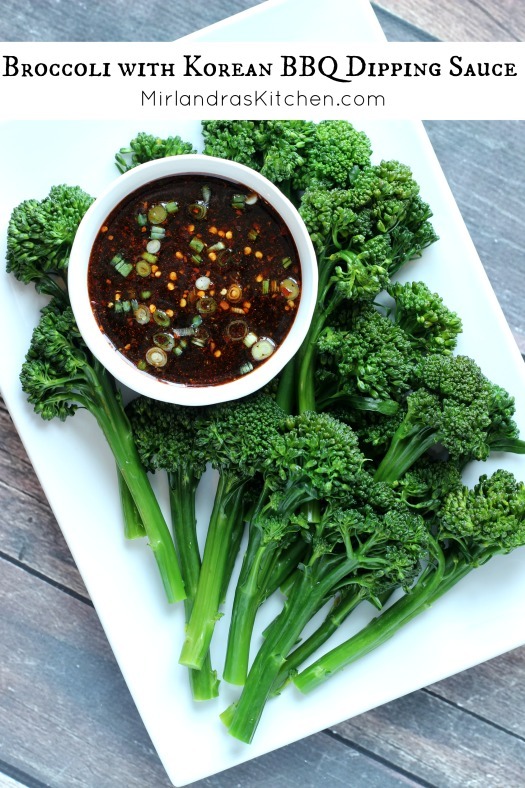 Try my Broccoli with Korean BBQ Dipping Sauce. You will love it! Cut the greens off the beets if needed and wash or peel them. (You can also peel them after they are cooked if desired). Add water or broth to the IP. Add the wire trivet and place beets on top of the trivet. Cook on Manual setting for 17 minutes with a quick release after. If you wish to peel them at this time run under cold water to help loosen skin and peel what does not come off easily with a vegetable peeler. This recipe is participating in Weekend Potluck!